In February 1990, I was injured with a C5/6 spinal cord injury. I felt I needed to find a way to stand up, even with the disapproval of my rehab doctor. who did not believe there to be any benefit from standing. 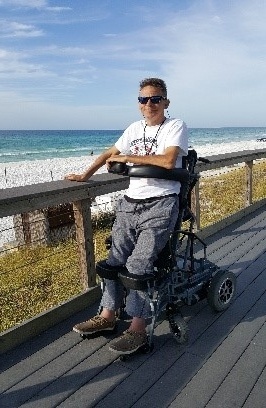 In 1993 I met the owner of The Standing Wheelchair Company and purchased my first Superstand standing wheelchair.